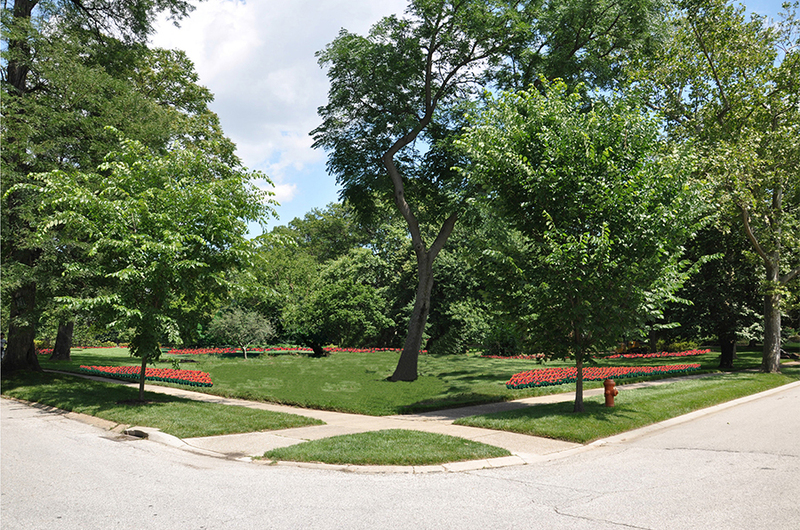 The long-range master plan for Sherwood Gardens provides a road map for returning the gardens to their former glory while also accommodating continued neighborhood visitation and use. 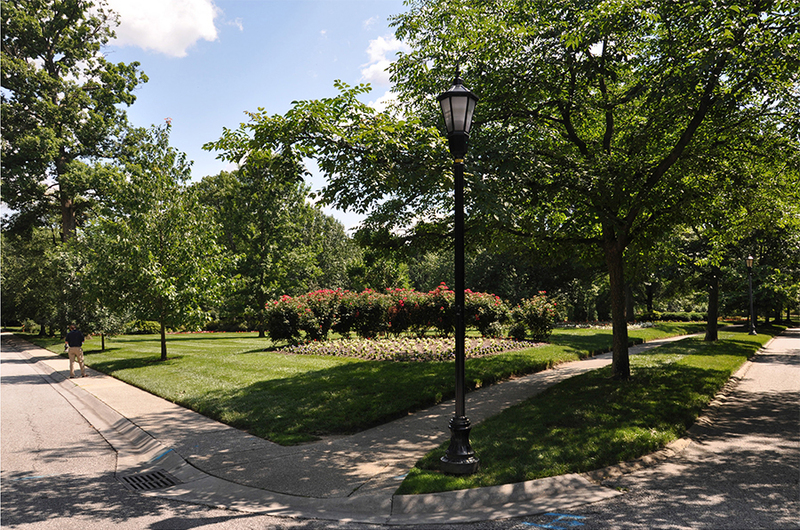 From the 1960’s through the late 1970’s, portions of the gardens were tweaked and modified away from their original design intent. 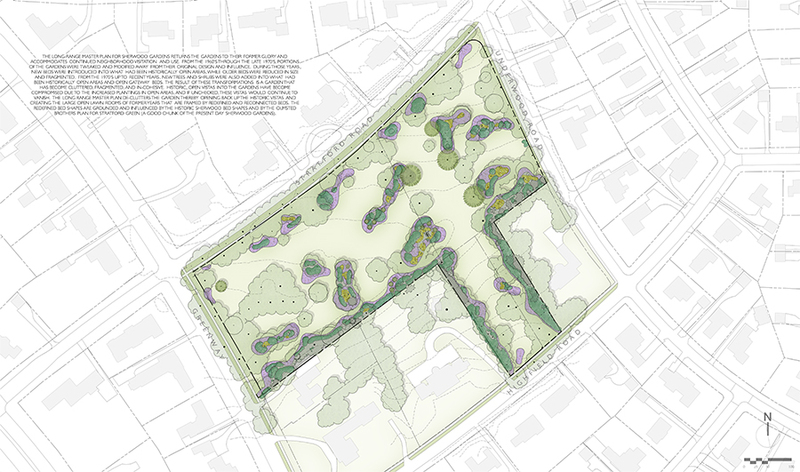 During those years, new beds were introduced into what had been historically open lawn areas, while older beds were reduced in size, fragmented, and in a few cases re-shaped from organic, curving shapes into pure geo-metric forms. From the 1970’s to 2012, new trees and shrubs were also added into open lawn areas as well as into key gateway beds that had previously only been filled with tulips and annuals. Historic, open vistas became compromised as a result. 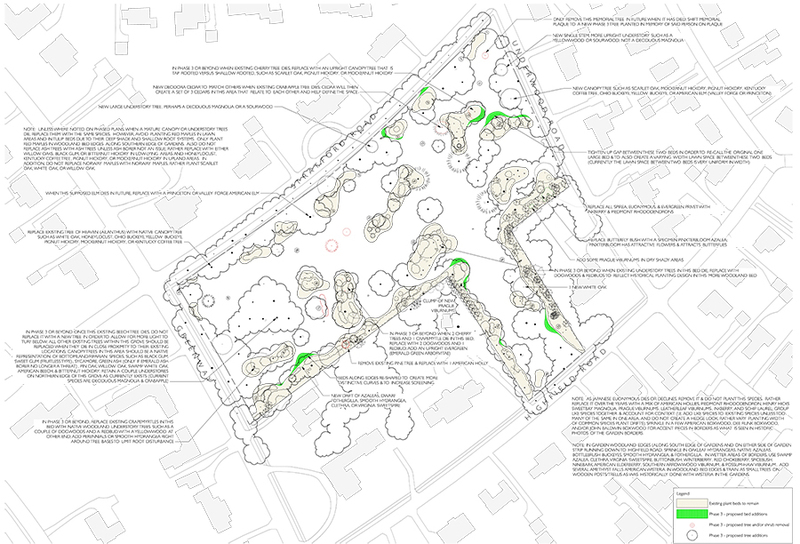 The long-range master plan de-clutters the garden, editing out non-historic shrubs, trees, and beds, and thereby reclaiming historic vistas and creating the large open lawn rooms of former years. 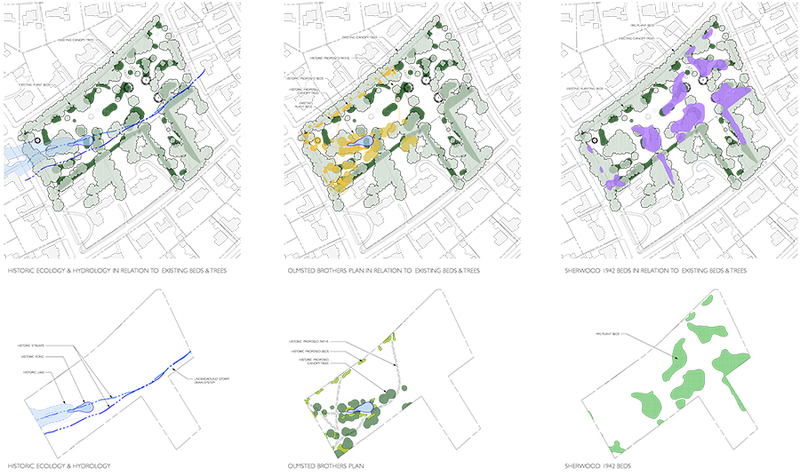 The plan also outlines redefined and reconnected beds, whose shapes are grounded in and influenced by the historic 1940’s era bed shapes and by the Olmsted Brothers plan for Stratford Green*. 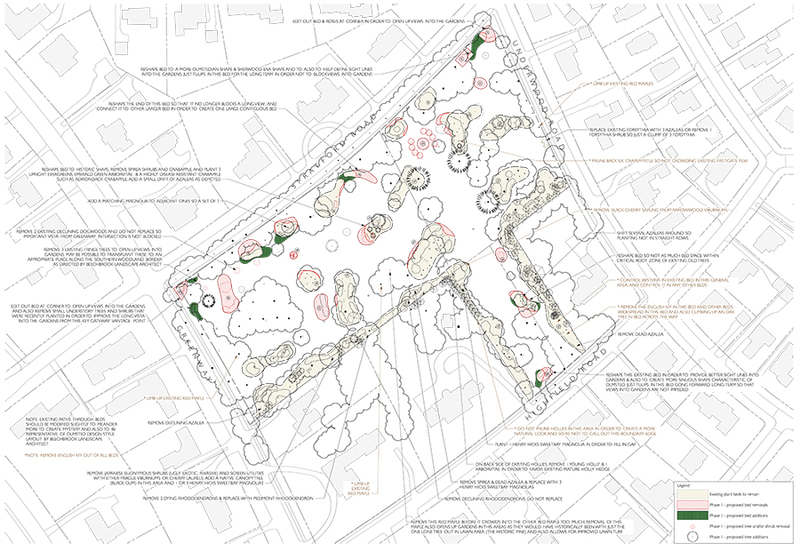 The refined beds frame the open lawn areas, and the result is a free flowing, cohesive garden. 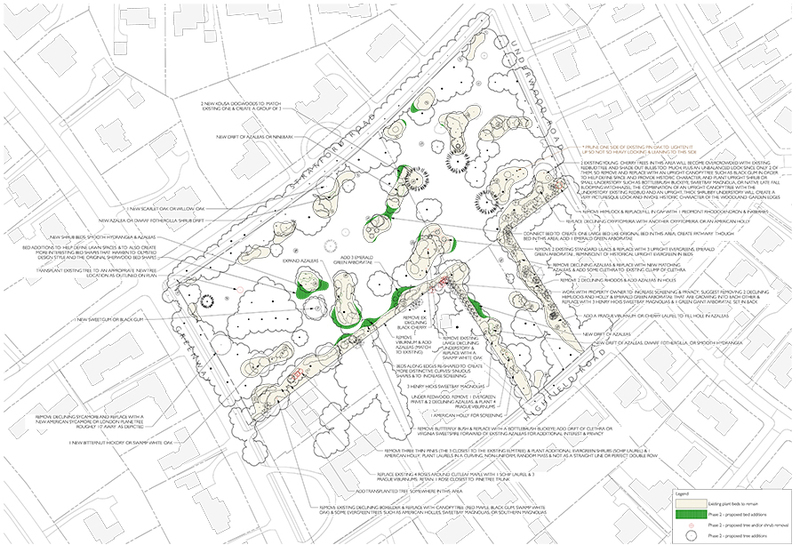 The long-range master plan has begun to be implemented under the guidance of Beechbrook.